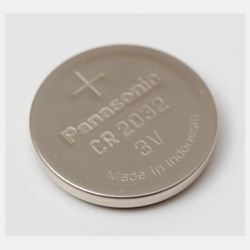 Description: This is your basic 20mm CR2032 coin cell battery. We use this battery in our Dice Kits. We also have a battery holder for this battery that is sewable (or solderable).